Let me start by saying the top picture is not mine. The hubs and I scarfed this meal down so fast we forgot to even take a picture. It was just that good. I made this casserole for a friend who had surgery and made enough for us to have one as well. It was so super easy to make and off the charts good. If you discriminate against casseroles and using cream of anything soups then this recipe is not for you. 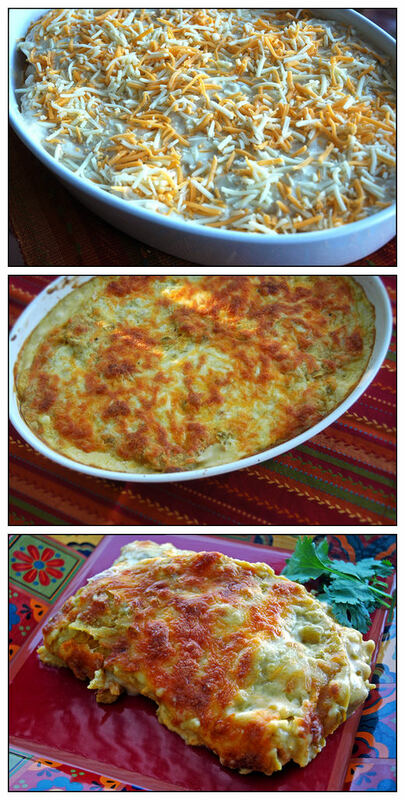 But if you are like me and love a casserole and Mexican food, this will be right up your alley. It was so creamy and delish. Serve with a side of black or pinto beans and you have an easy weeknight dinner. It also reheats just as well the next day! Next time I may try it with beef and for any vegetarians you could definitely sub beans or sauteed veggies for the chicken. Enjoy you will want to add this tasty meal into your weekly dinner rotations!